Check out all the DBZ, Godzilla and 90s retro goodness from the Bandai booth at NY Toy Fair 2019. Also check out more details below. From Disney's Big Hero 6: The Series, Baymax, Hiro and the rest of the Big Hero 6 team are back and ready to protect San Fransokyo from an array of scientifically enhanced villains! Play all of your favorite moments from Disney’s Big Hero 6: The Series with the Flame Blast. Flying Baymax. With Hiro's battle enhancements Baymax can do so much more! 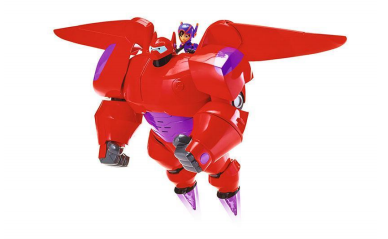 This 10.5” Baymax figure is massive in size and comes equipped with pop open wings that span over 20” and a firing rocket fist. Prepare for an aerial attack-- attach Hiro to Baymax’s back to activate automatic flame blasts and motion activated flight and battle sounds. Dragon Stars – 6.5” Figures Collect all your favorite Dragon Ball Super characters with poseable 6.5” figures from the Dragon Stars Series. Each figure has 16 or more points of articulation and comes with a second set of hands or an energy blast! Limit Breaker Series Re-create epic battles from Dragon Ball Super at a massive scale with these 12” and 13” collectible action figures. Each figure comes with 5 points of articulation - perfect for your character to get into position! These figures will be available in Fall 2019 at most major retailers. 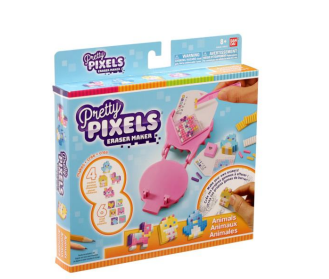 Starter Set Pretty Pixels Eraser MakerTM is a premium activity that allows girls to make their own beautifully designed erasers from scratch to collect, use and share with friends! Each starter kit comes with enough eraser material to make up to 10 creative erasers! There are four different themes: Animals, Sweets, Fruits and Fashion. Each Pretty Pixel Starter Kit will be available in Spring 2019. Now you can collect your favorite Princesses from Disney's “Ralph Breaks the Internet”. Each princess pack is different and you'll be surprised as to which princess you'll get. Stylized princesses in their comfy fashions for the cutest looks. Plus, add the princesses to the PAC- MAN: Ralph Breaks the Maze App for added play! Meet the Shakeheadz Slob Monsters – gross and gassy monsters that burp, belch and fart with every shake! These guys got stuck in soda cans and need to release their toxic toilet fumes! Collect all the monsters and trade Slobcards with your friends! Refreshingly revolting! These Slob Monsters are available to collect in 12 different figures! 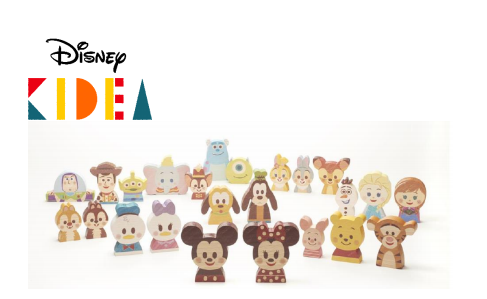 Disney KIDEA is a new premium Wooden Toy series filled with everyone’s favorite Disney characters! Re-create the make believe world of Disney or build your own storylines and play patterns with the help of your imagination and favorite characters. Product line includes single packs, KIDEA and Block sets, vehicles and train items. Disney KIDEA is made to be enjoyed by all generations!